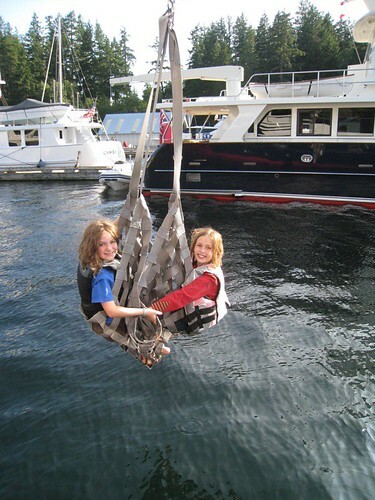 Suspending bickering girls over open water in a cargo net is not the punishment we thought it would be. Though it was fun to dunk their little bottoms in the brine and hear them shriek. yeah punishment right (not)! they look like that they are having too much fun! plus i like the idea of dunking their bottoms occasionaly too. But did the bickering stop? Thanks for sharing your fabulous vacation with all of us. I've loved every minute of it!! !